No longer are pallets used exclusively for transport. 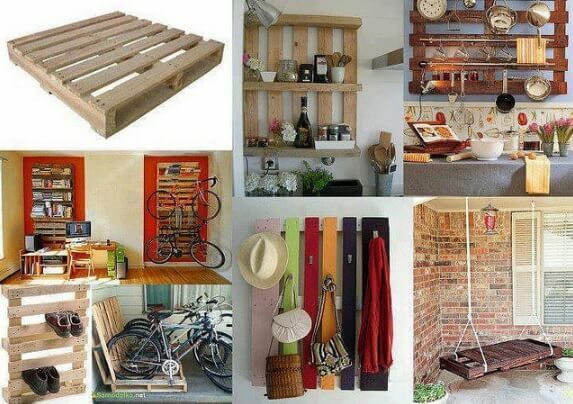 Over the years, pallets have become a hot commodity in the home decorating space. Pallets can either be used whole or by detaching and using the individual boards. From kitchen cabinets to patio furniture, you can use pallets to build almost anything. 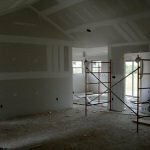 And the best part – besides doing it yourself – is that you are taking an inexpensive material and turning it into chic pieces. Free or low-cost pallets aren’t hard to find. Try asking small local businesses or pallet recyclers if they have any pallets that you can have. Or browse Craigslist for any free pallet removal ads. 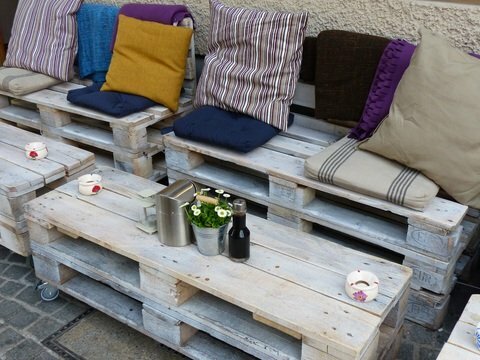 A fun do-it-yourself weekend project, you don’t need to be a seasoned handyman to create outdoor furniture from pallets. 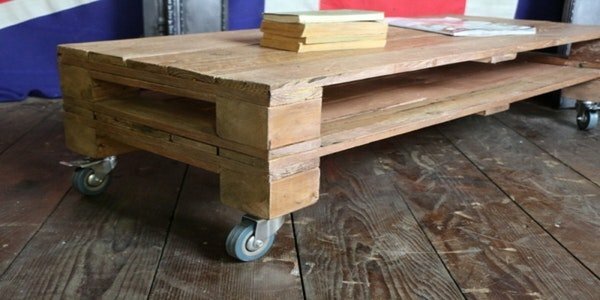 A pallet project is enjoyable for any DIYer, even beginners. 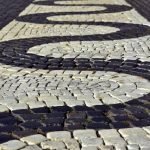 Keep reading for some clever ways that you can create beautiful – and useful! – garden decor using pallets. A pallet swing is a fun furniture piece to add if you have a big enough tree to hang it from. 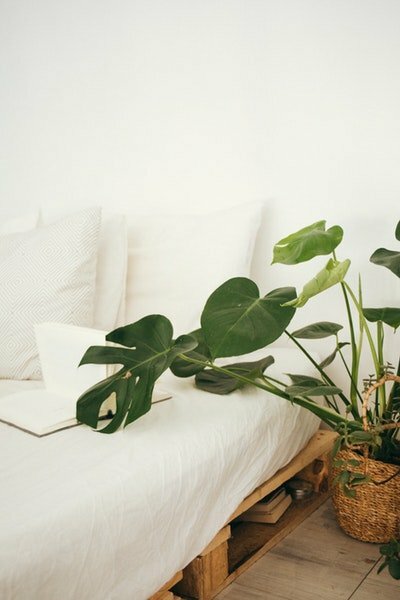 Add some cushions and a blanket, and you now have the perfect place to kick back with a great book this summer. The swing will be a huge hit with your kids as well! For this, you need at least two whole pallets. Secure them on top of each other and voilà, your new coffee table is ready to use. By keeping the space between the pallets, you instantly create extra storage space. Adding casters to the bottom gives you the option to easily move your table around anywhere you want. Still have a few pallets left and feeling a little ambitious? Try building a higher table, and you will end up with your own outdoor kitchen island with enough storage for plates and other essentials – ideal for those irresistible summer barbecues. This pallet bar doesn’t take up much space, so would be a smart addition to smaller gardens. All you need is two whole pallets and a few concrete blocks to place on top. Bring out the essentials for your favorite drink, relax and enjoy your stylish new outdoor bar. Determine the right height for your sofa by stacking pallets, and then secure them. For the back of the couch, attach pallets on their sides to the already stacked pallets. You can either remove the backs of the pallets or leave them on to create handy storage spaces. Don’t forget to measure your sofa, so you can find the perfect sofa cushions. Finish it off by adding a few throw pillows you love, and then sit back and appreciate your accomplishment in comfort. 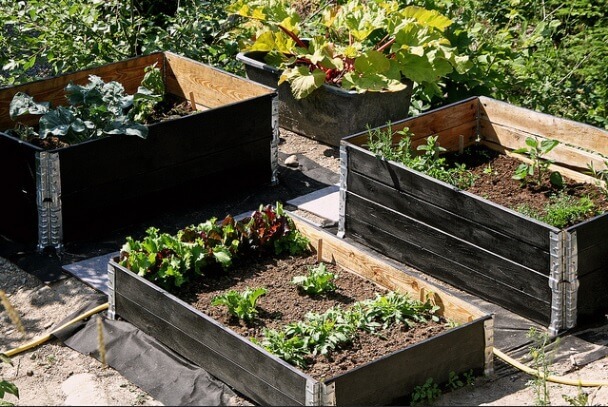 Whether you want to grow flowers or herbs, a vertical garden made using pallets is a trendy element to add to any garden – especially if don’t have a huge backyard. There are many ways to create your new DIY vertical garden. You can make it as tall as you want or you can hang it on a wall as a statement piece. You can plant flowers, veggies, anything you like! Whether your plants are inside the pallet or hanging from it, all of these options make great additions to gardens and yards. You don’t need to purchase expensive plant pots when you have pallets. This pallet project does require you to disassemble an entire pallet. 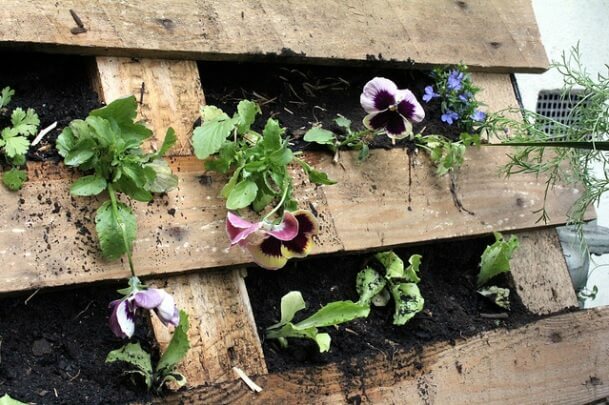 You then use the separate boards to transform a pallet into a beautiful rustic planter box. Pallets can also be used for practical storage solutions, such as a pallet tool rack. Your creation will not only be a clever way to store your garden tools, it will also be the envy of the neighbors who are wondering where you found such a great piece. Want to add another stylish element to these garden furniture? Just paint your creations a bright color and your garden will be ready for endless outdoor summer fun this year!